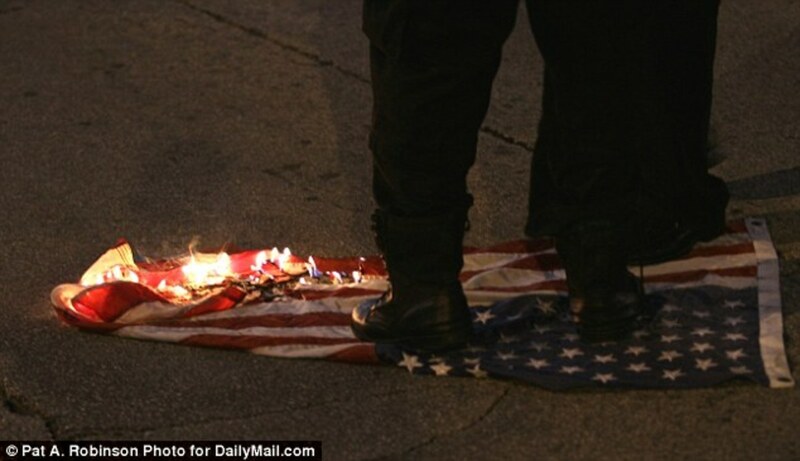 A Black Lives Matter supporter burned an American flag while protesting during the GOP debate in Milwaukee. 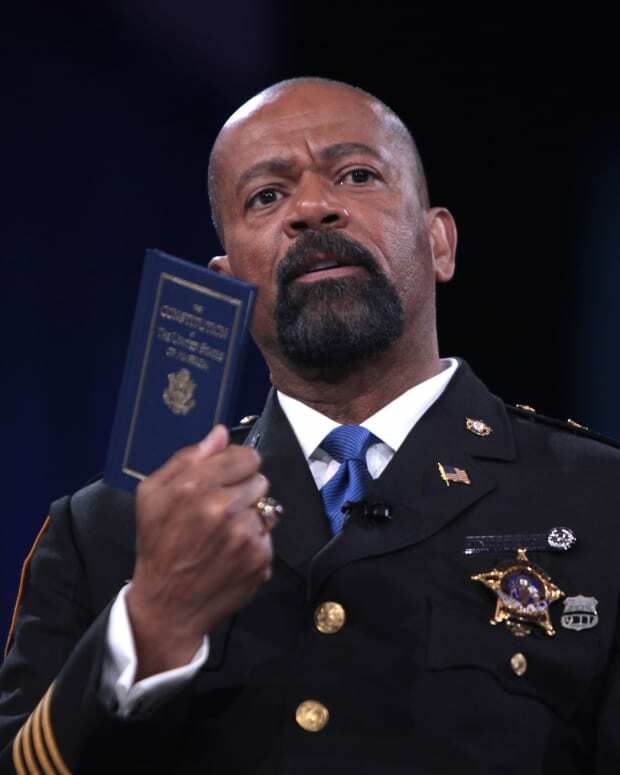 The man set fire to the flag outside Milwaukee Theater in the evening of Nov. 10, during the time the Republican presidential debate was taking place in the theater. 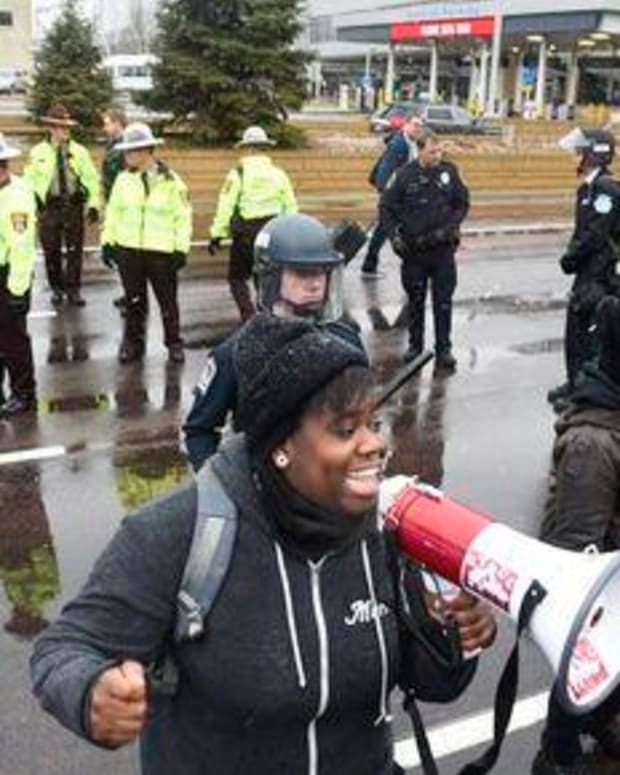 The flag burner, who is part of the Black Lives Matter movement, was reportedly protesting the U.S. Justice Department&apos;s decision not to file federal civil rights charges against Christopher Manney, a Milwaukee police officer who fatally shot a disabled black man, Dontre Hamilton, in April 2014. 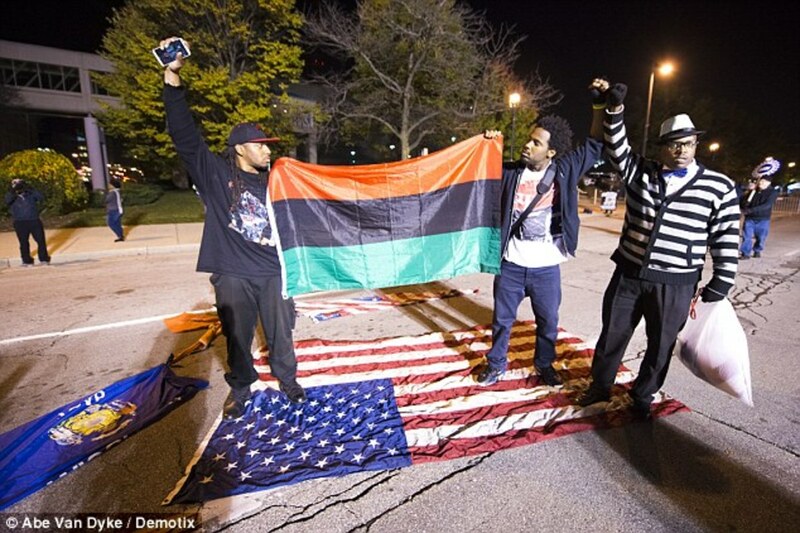 The man and two other Black Lives Matter protesters were reportedly seen trampling the flag and standing on it while holding up a Black Liberation flag earlier in the evening. 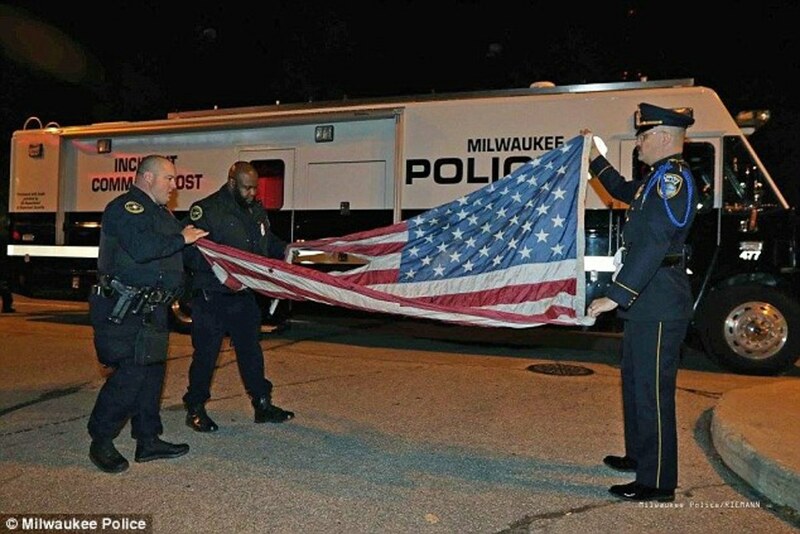 Officers from the Milwaukee Police Department (MPD) were present at the scene of the protest, but did not initially respond because flag burning is not illegal. 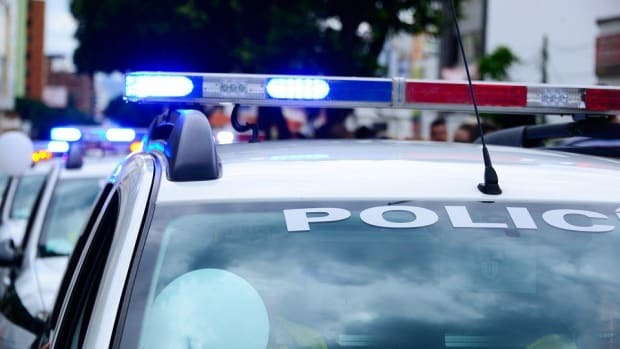 However, police soon decided to put out the flames with a fire extinguisher because they were concerned about the safety of the other protesters in the crowd. 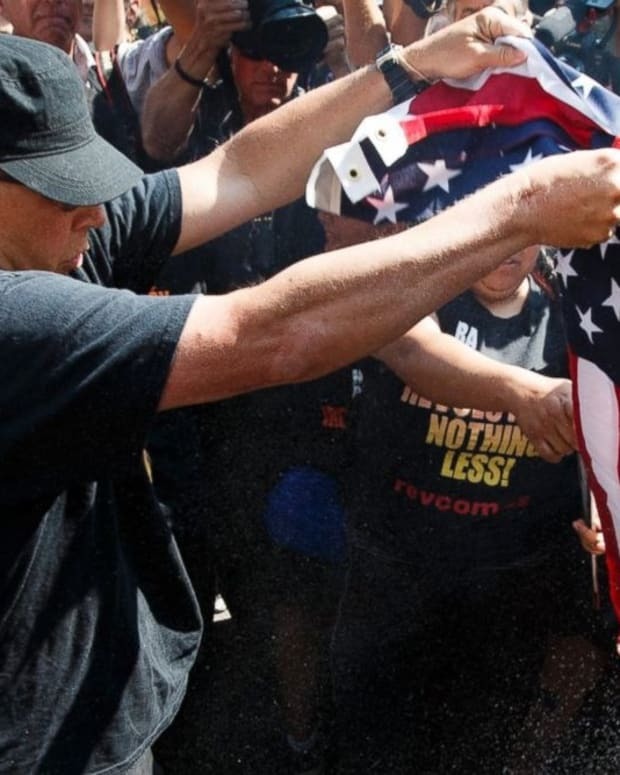 After putting out the fire, the officers picked up the burnt flag, folded it ceremoniously, and took it away to be inventoried as evidence in the event that criminal charges are filed against the protester. 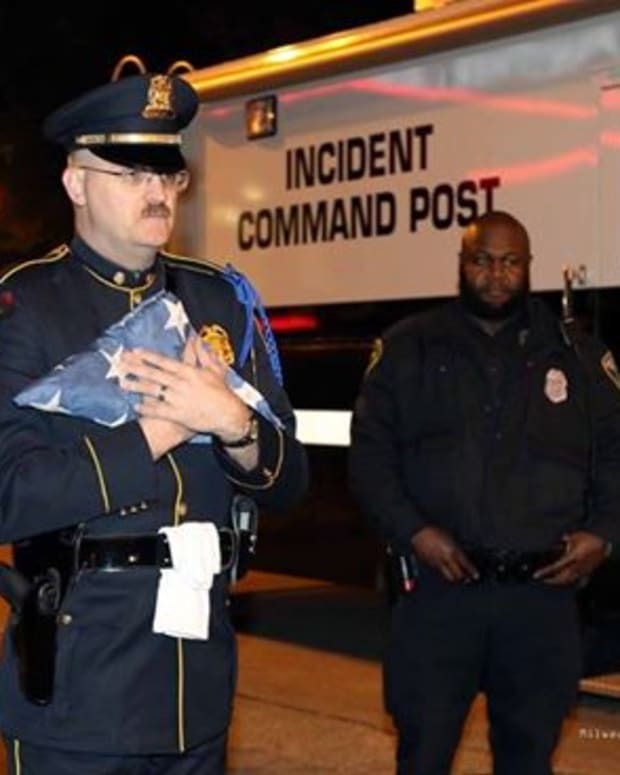 The MPD tweeted on Nov. 10 that the officers were trying to "restore honor" to the damaged flag by folding it properly. The city&apos;s Police Chief, Edward Flynn, said during a Veteran&apos;s Day ceremony on Nov. 11 that the man who set fire to the flag has been identified by authorities, but has not been arrested. He added that the man "interestingly had a prior arrest for arson," according to Fox 6 News. The police department has released an official statement condemning the unpatriotic act. 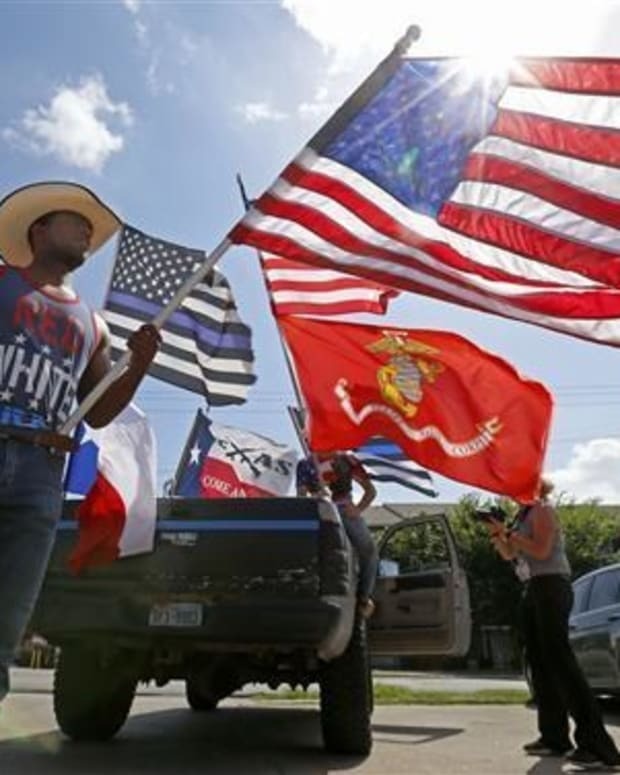 "To us and to millions of Americans, the flag is our highest symbol of honor and freedom, and a sacred one that has been secured at great cost," the statement said. "Although the protesters have every right to exercise their First Amendment rights in order to express their opinion (including burning the flag), we also have the right to use our First Amendment rights to clearly express our opinion about their actions." The statement also said that Milwaukee police treated the flag with the "appropriate level of respect" that it deserved. The flag burning reportedly took place during a larger rally outside the GOP debate in which more than 1,000 people gathered to protest various issues, including immigration reform and the minimum wage. Several other protesters in the crowd objected when the man set fire to the flag, telling him that it was disrespectful to do so on the eve of Veteran&apos;s Day. "I&apos;m a veteran…you can&apos;t do that, man," someone in the crowd reportedly said. 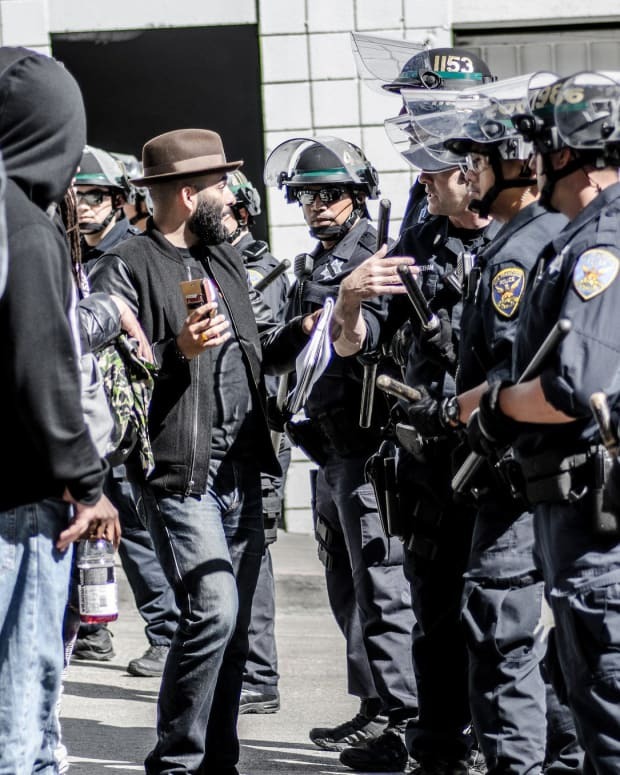 Prosecutors are still deciding whether the protester&apos;s actions warrant charges. 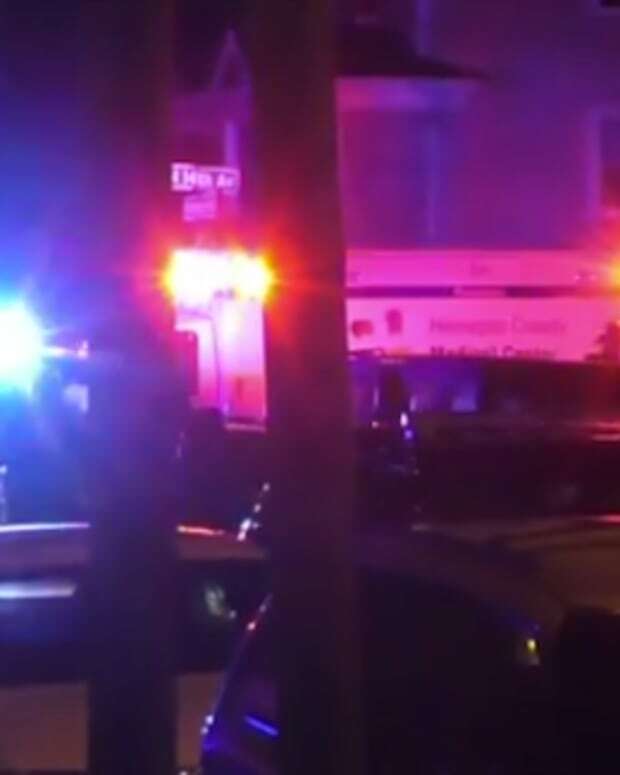 In December 2014, the U.S. Department of Justice announced that it will not pursue federal criminal charges against Manney in the shooting death of Hamilton, the Milwaukee Journal Sentinel reported at the time. Manney reportedly shot Hamilton 14 times during a confrontation at Milwaukee&apos;s Red Arrow Park after failing to subdue him with a baton. The decision has sparked outrage among Hamilton&apos;s family and supporters. Manney has not been fired over the incident.